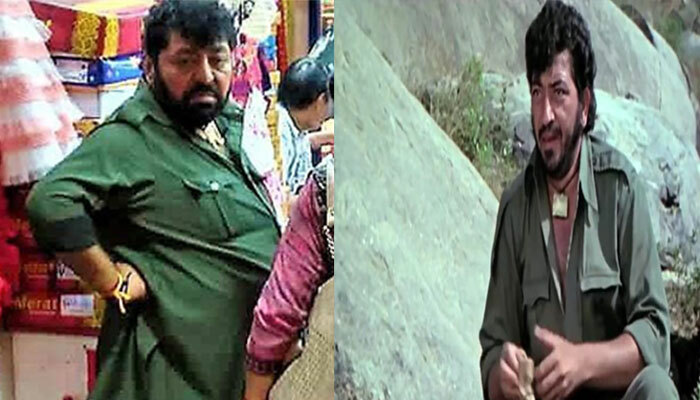 Sholay’s Gabbar Singh spotted in Karachi’s market? Sholay, one of the most popular and celebrated Bollywood’s movies who characters have placed their names in the film history as well as in the people’s heart. Everyone have remembered the name of the most notorious villain in the movie called Gabbar Singh even today. In the movie, Gabbar Singh was portrayed as a dacoit who led a group involved in looting the village in the region Ramgarh. However, the character has been remembered as one of the most iconic villains in the Bollywood’s history. A picture of a person who resembles with Bollywood Gabbar Singh has been shared on the internet. The picture was taken in a bazaar in the Karachi. The clothes, physique, and hairstyle almost everything is as same as Gabbar Singh’s getup in the movie which surprises all the citizens in the market of Karachi.